Instagram is testing a new, Facebook Reactions style emoji response option for Instagram Stories, which would give Stories viewers another way to engage with posts. Spotted by user @SupraBo (and shared by Matt Navarra), the new response tool would provide a simple way to quickly engage with Instagram Stories content, and could give brands, in particular, another way to measure viewer sentiment and interest in their content. Though you may note, there's no 'angry' Reaction. That could reflect the more positive slant of Instagram more generally, or it could be that the angry response doesn't see much use on Facebook (though I suspect the former is more likely). 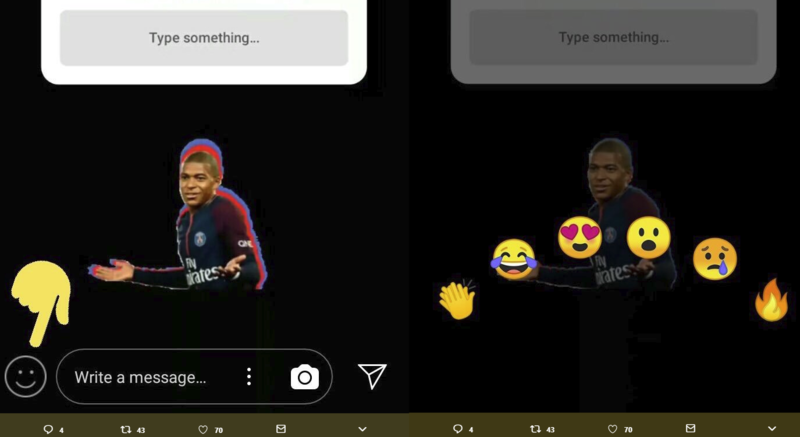 The introduction of Reactions for Instagram Stories makes sense, given Facebook announced the same is being rolled out for Facebook Stories late last month. Reactions may not seem like an essential part of the broader Facebook experience, and they still only form a small part of the broader engagement trends on the platform - but it is worth noting that, according to data from Quintly, their use has been steadily rising over time. Given this, it does make a lot of sense for Facebook to add them to Stories, which are on track to become the primary social sharing option, overtaking the News Feed sometime this year. Really, it's a minor option, but the impact could be significant. If more people use the new Instagram Stories reactions, that could, as noted, give you another way to track performance, and ensure you're delivering Stories content which resonates with your audience.